Next day started early for all. 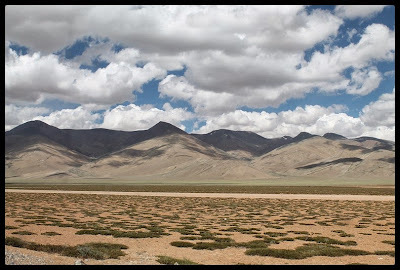 Most of us managed to take bath as we were not sure if we could get a chance till we reached Leh. The homestay charged us very liberally thinking we were students. I guess it was me who went to look for the rooms and no doubt they were sure that we were still college-goers. KaramChandji was on time as expected. Those roads climbing up the mountains were calling. The bikers ready with their gears and we started our journey on those zig-zag road towards Rohtang. Fortunately for the bikers, it was not a sunny day. They seemed to enjoy the ride. Manja slipped off a little while taming his bike climb up on a curve and realized life is not the same as on plains. He learnt the technique soon. A little distance ahead we encountered the first block, a landslide. My mind cribbed thinking about the delay this might lead to and the plan getting upset. But I was wrong, it was soon cleared off and the road was all ours till we stopped for late breakfast at a petty shop on the road side. 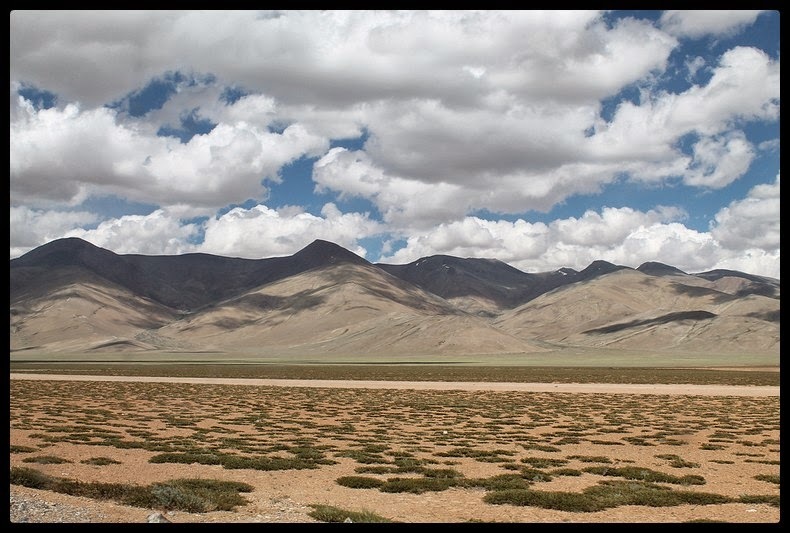 It got sunny as we drove over keylong, Jispa, Darchu, Zingzing Baar. And we felt cramped inside the vehicle. Pavan couldn’t resist from riding the bike and he offered some rest to Manja. 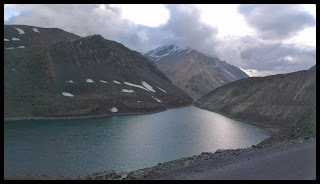 We soon reached Baralacha La pass. It is a high mountain pass in Zanskar range. After having lunch at a road side hotel we continued our journey. We dint want to stop till dusk or till the bikers wanted to. Our driver made our life very easy even for the back-seaters. Hats off to his driving skills, he often joked at other vehicles which took its commuters for a roll-a-coaster ride on these roads. He showed us important landmarks on the way and by now he was a part of the group despite the language barriers he laughed at our jokes making us wonder if he was really laughing at the joke or at us :D.
Inspite of many frens suggesting that we should not ride very long on a single day and gain sudden altitude, we did ride up till Sarchu. We were amazed that even at 6:30 in the evening it is absolutely bright days up there. We were cheated when it got dark all of a sudden by 7:10pm around and became extremely cold. 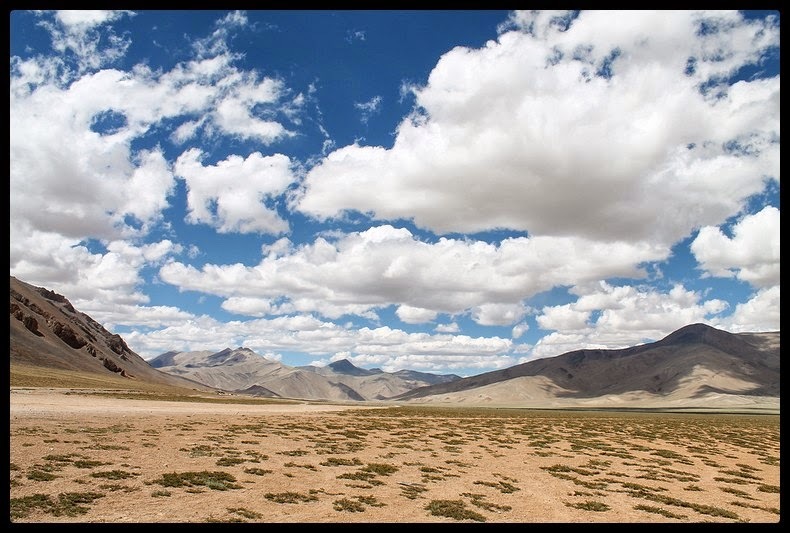 Sarchu is plain land with mountains surrounded in all directions. Extremely windy and very naturally it was cold beyond imagination. 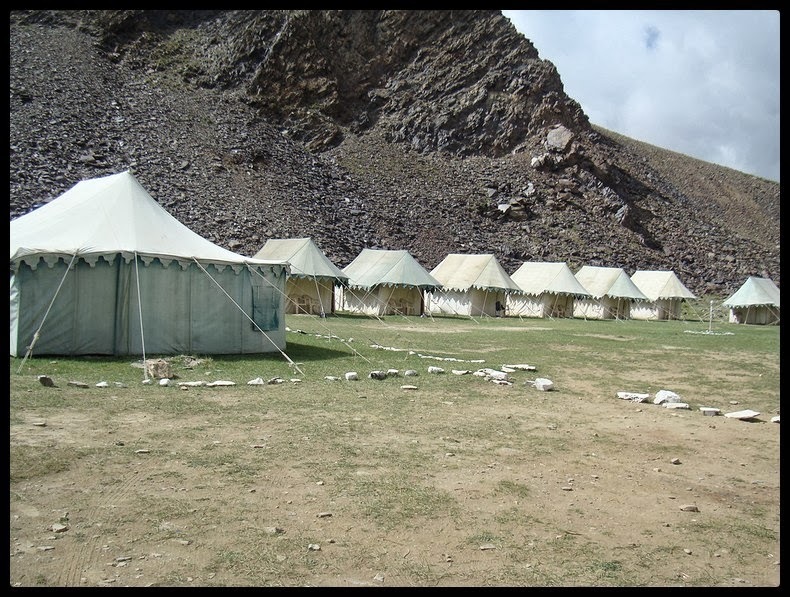 There are several camps in Sarchu for night’s stay. Charging around Rs600 – 650 per head. 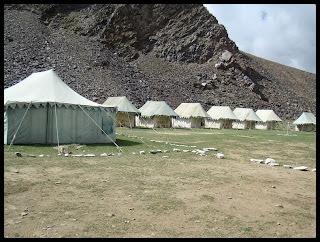 The tents were very cozy with an attached bathroom. They provided hot water if demanded and food was not all that great. But all we needed was a warm bed to kill the night. Before getting into the warm layers we took some time to enjoy the deep blue sky filled with stars. The landscape looked dark right below and the sky was lit up here and there with bright stars. Cold breeze forced us get into our blankets and we slept tight. Things were no different the next morning. It was freezing cold. Few among us had headache, vomiting sensation and few felt uneasy as they could not sleep the whole night. They blamed the suffocating tents. Altitude also seemed to be doing its job. We assembled for breakfast which was half toasted bread with jam and butter. It dint help us feel any better but a hot cup of tea was heavenly. We came out and magically we were not feeling cold anymore. Fortunately all were good to go. The journey started on a sunny day. By now every one of us inside the vehicle were equally tempted to enjoy a ride on the bike and mean while the bikers needed some break. Few stretches were the most beautiful sights to watch and ride and few patches were terrible for the bikers. It was late afternoon we stopped for lunch. KaramChandji made sure that he stopped at good hotels all along. After filling our stomach we must have rode for 5-10kms, karamji received a call from hotel we just left. Pavan had left behind his wind jacket with wallet in it. They went back to collect & the hotel owner was humble enough to check for his belongings and clearly mentioned how much cash he had kept in his wallet and safely handed over it to Pavan. She also showed him a bag full of items left behind by people visiting her hotel. That’s the beauty of this place. We were bowled over by their modesty. It was close to dusk when we reached Karu from where Leh is just 35kms more. But we preferred spending the night at karu and leave the next morning. The city looked almost shut and it majorly has the army settlements than civilian population. We settled down with the cheapest accommodation as it was a matter of one night. Two huge rooms with lots of dirty beds and blankets spread all over the floor. We were too tired to look for anything better and easily spent a night. Right outside the window, the moon who was close to his full that night was glowing bright in the sky. 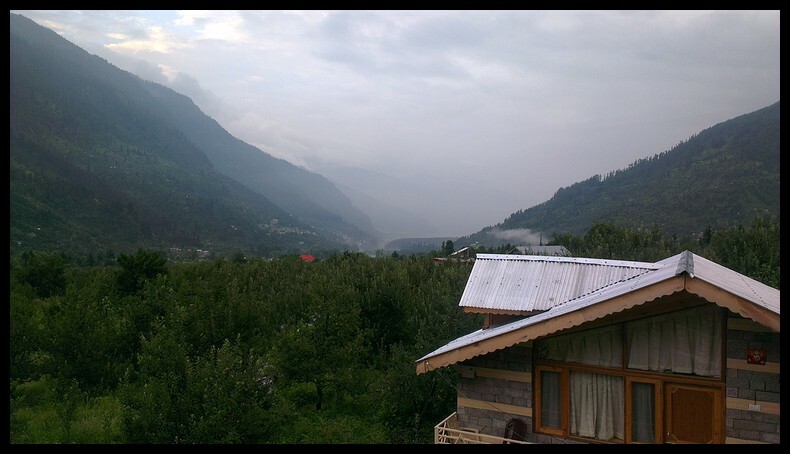 Day 2 : Manali... Day to wallow in nature ! Time must have been 9:30am, we reached Manali. It was an uneventful journey. Our cab driver KaramChandji was already at the bus station waiting for our call. 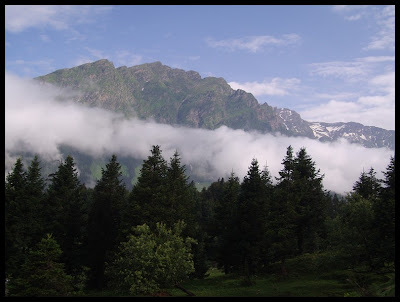 We left it to him to take us to a good stay outside the busy streets of Manali. After driving a distance to leave the busy crowd behind we reached a beautiful home stay “Apple House”. As the name suggests it was amidst apple and pear trees, bordering at the end of the view were those tall mountains. The house/cottages are designed so beautifully that you feel as if you are part of the wonderful nature outside. A day to wallow in nature, chill out and visit a nearby temple. Manu and Manja had to look for bikes as they were to ride from here. They left hunting for good bikes. We postponed our daily chores till evening when finally we were ready to visit the temple which we had missed during our previous visit to Manali. 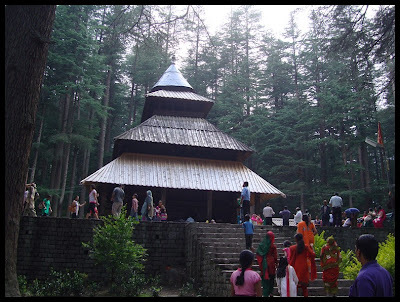 Hadimba devi temple, a beautiful temple amidst tall trees. A unique structure with several layers of square tombs and a small note on the history of this temple is worth reading. (http://bharmourview.com/himachal-tourism/manali/hadimba-devi-temple-manali ). The temple has a small entrance and you see a cave inside without an idol but a footprint which is worshipped. The pandit serving the Prasad was generous enough to brief us about this temple. 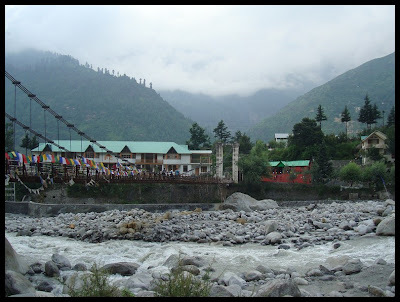 Little away is the Ghatotkach temple. I was a kid when I watched Roja movie for the first time and by now have watched it countless number of times and this is one place which comes to my mind every time I think of this movie. And the same thing happened when I saw this temple. The scenes shot in this temple started playing in my mind. It was Roja feeling. Such an amazing movie and a brilliant place to shoot it. It was almost dusk when we raced back to our home stay. KaramChandji was a generous man, he offered us tea at his house. We were surprised by the hospitality he presented for a bunch of new faces like us. We accepted the invitation not to make him sad but I personally never wanted to put his folks into uncomfortable situations. But he insisted that we all go. A small family with a beautiful wife and two sons doing their schooling. They were preparing their house for a festival in the village and hence the lady of the house expressed her dissatisfaction for the condition of the house. We enjoyed the world’s best pudina tea (At least for me this was the best) and lil snacks. The super champ, younger son was busy pretending to study while the elder son, her mother said was very studious. He studied in the town and was not around. Back home, the home stay chef had prepared the best of cuisines for the non-vegetarians while the rest almost starved with left-over’s of the afternoon lunch. Lil cribbing, we hit the bed soon to start the next day early. Day 1 : Julley Leh… The journey begins…. Year long discussion, months of planning and a long break will always bring you to the best of a place under the sun. 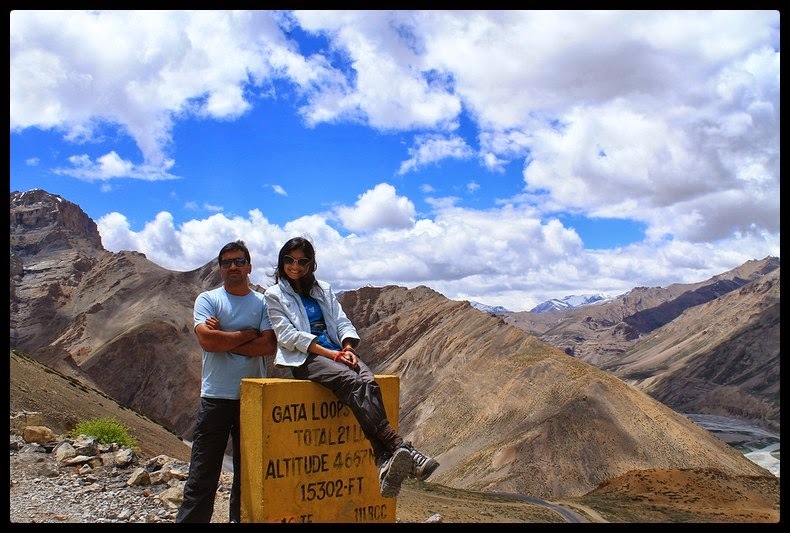 One such amazing place in India is LEH. A must see for every lazy bug like me. So pack your bags and prepare some wonderful coffee as you travel with me to this beautiful place in our own country. As always we had the list of places to visit, a route map for the same and the rest kept as open points. Rooms were to be looked for after reaching the place. We checked with cab drivers if they were free to give us a ride but nothing was booked. It was not really necessary to book anything in advance other than the train or flights. 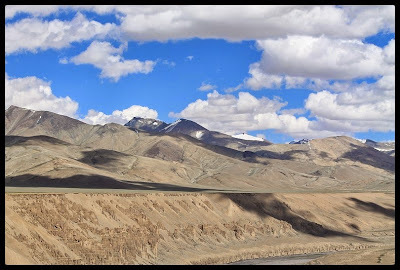 After having discussed with friends who had previously visited Leh, we had umpteen contacts and all the required information. The group was big with 9 people having varied interests. Putting across each of our interests, we finally had 2 blueprints to execute the trip. 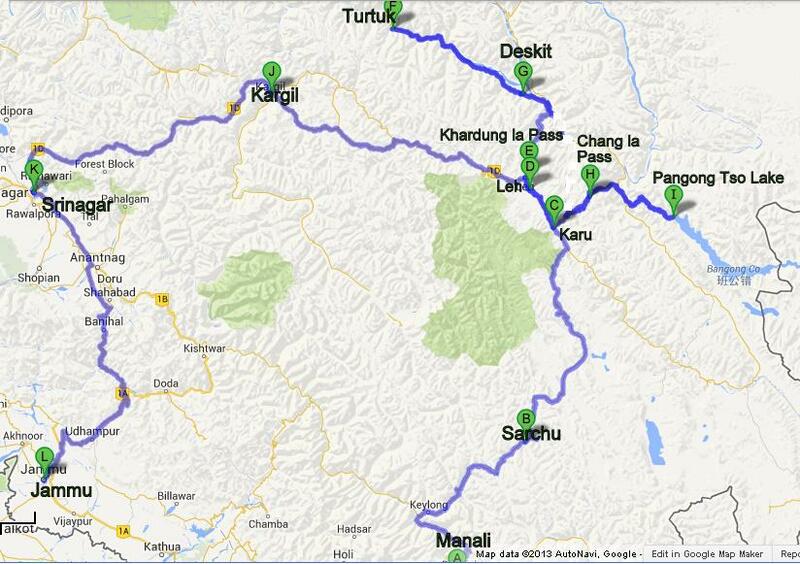 It was like this, all 9 would travel to Manali by bus from Delhi. From here, 7 out of 9 will ride in a cab (Innova) to Leh while the rest 2 will ride bikes right from Manali. 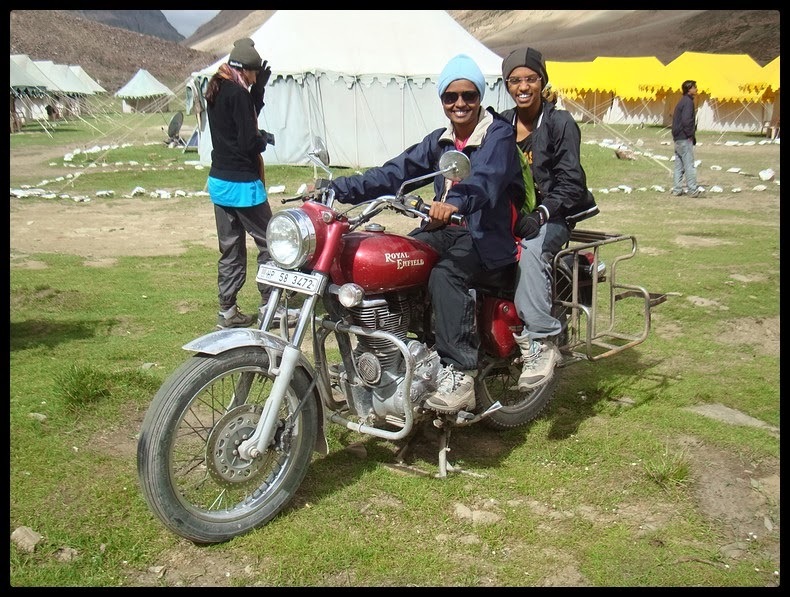 Reaching Leh, 4 out of 7 will hire bikes & rest 3 (we girls) will ride as pillions. 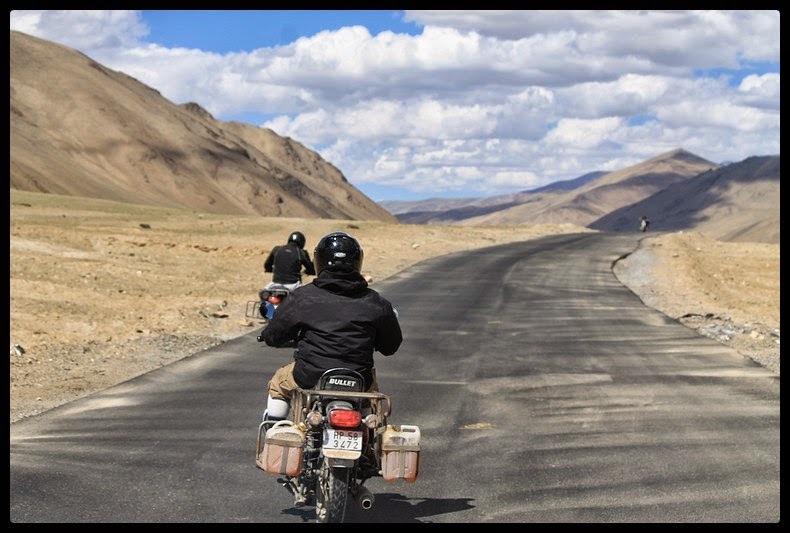 After going around Leh, the same 7 will continue to reach Srinagar via Kargil in a cab; the other 2 bikers will drive back to Manali from Leh. Quiet a circus, don’t bother to read again if you dint get it. These different plans initially created a lot of friction in the group but were later accommodated. Guys got prepared with their riding gears for the road conditions were told to be terrible at few stretches. Like previous trips the last minute shopping was unavoidable and my 0-shopping idea went for a toss. Never mind it is better to be over-prepared than going under-prepared. So it was Me, Pavan, Kanthanna travelling the length of this vast country by train from Bangalore to Delhi in Sampark kranthi express which will take its sweet 48 hours to reach the capital. We mostly ate, slept and chit-chat with the each other, otherwise plug to some music. Kanthanna and Pavan had brought some really delicious home food which thrived easily for 2 days, keeping our tummies happy. The train journey is very boring for few people especially for those who are new to this mode of transport. 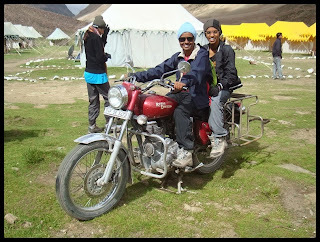 So, Pavan who had hardly traveled before on wheels for long had a very tough time. We made all efforts to kill time. Kanthanna would get down at every station and would get back to train only when it departed the platform. On his way he would bring us eatables sold on the platforms at different cities the train had stopped on its way. We probably never felt that the train was in full speed, it would stop at every other city more generously. Thanks to Pavan for this wonderful collage!! 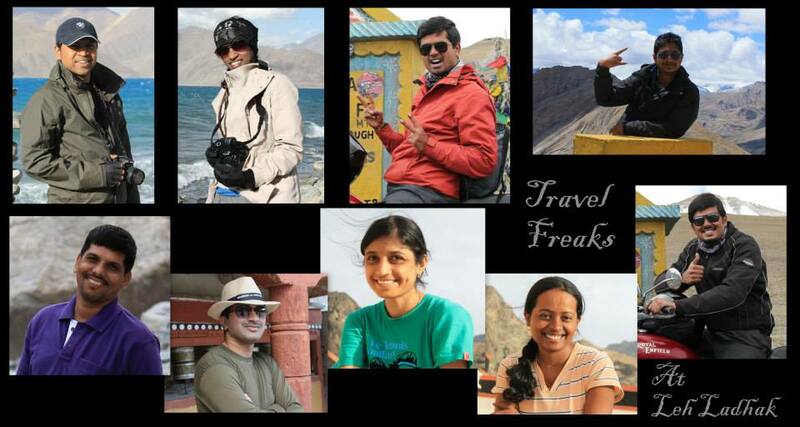 Two days later, Suhas, Raja, Manoj, Manja, Suma, Vidya flew to Delhi and we finally became 9 at Mandi house, Delhi. 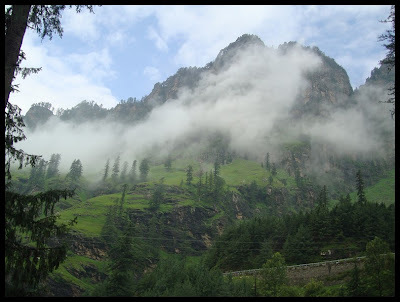 The bus from Delhi to Manali was from this place at 6:30pm. This was my second time through this journey.